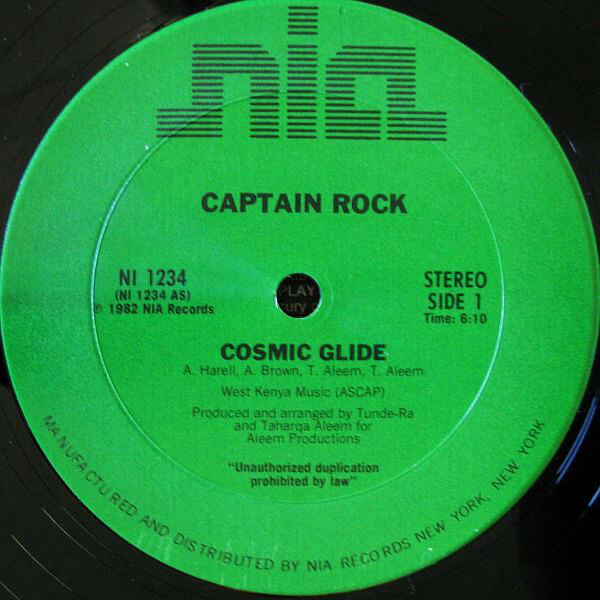 Captain Rock aka Ronald Greene originally began his career in hip hop as DJ Ronnie Green and was the live DJ for Dr. Jeckyll & Mr. Hyde. Although not a member of the Harlem World Crew he lived across the street from the club and was familiar with everyone involved. 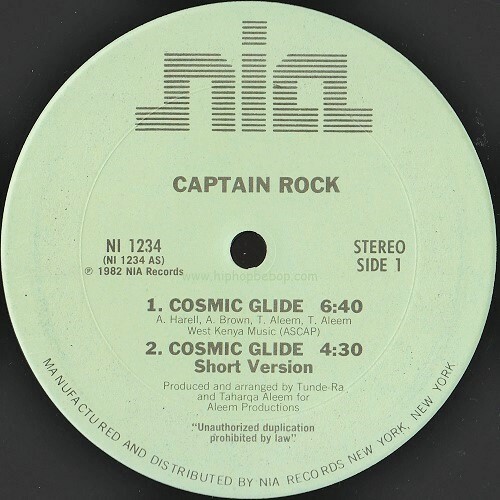 The Aleems (Taharqa and Tunde Ra) came up with an idea for a character/artist named Captain Rock and Jeckyll & Hyde managed to get their DJ an audition for which they wrote the lyrics which would become “Cosmic Glide”. Although at the time of the audition they already had someone for the part they were blown away with Ron’s performance and the rest is history. In 1982 “Cosmic Glide” was released and was the first rap track for the label. 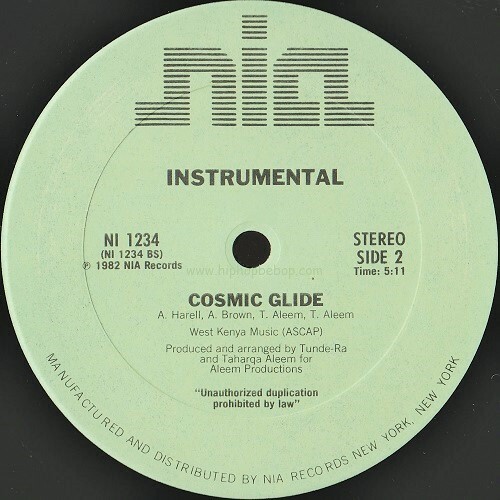 Sales were poor at the time but the inclusion of some spacey noises and computer sounds here and there plus some replayed elements and vocals from the movie and soundtrack to E.T. 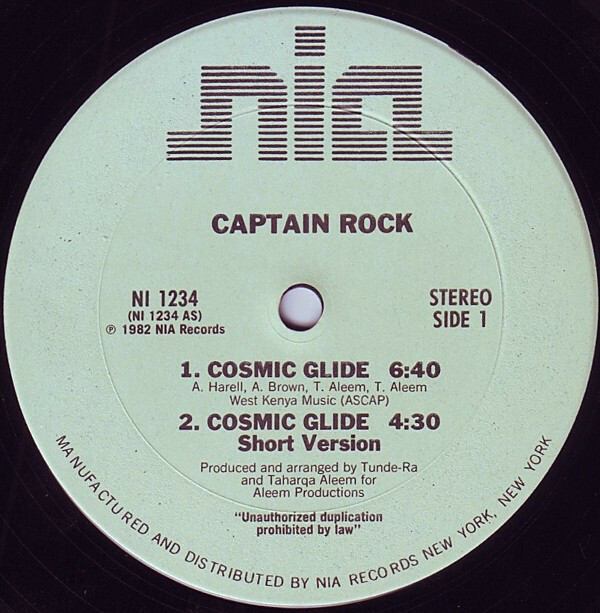 paved the way for the full on electro sound which Captain Rock is more well known for. 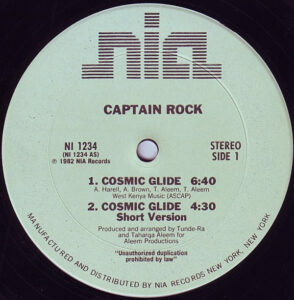 There are a few label label variations for this release and a couple of varying track listings which are listed below. Read the short interview with JayQuan HERE. Dark green pressing with no short version.